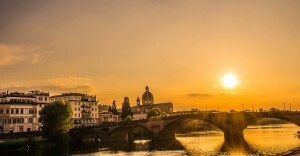 We don’t know much on the origin of the Medici family, generally we suppose they come from Mugello, the countryside north of Florence, where they owned lands. The first trace of the Medici in Florence is a tomb inside the old Cathedral of Santa Reparata: the man in the tomb is Giovanni de Medici, gonfaloniere in the Republic of Florence around 1350. We don’t even know much about their name: Medici is the plural for medico, in English: doctor. Anyway, like many families that became rich trading and banking in the Republic of Florence, the Medici were not knights, hence the scarce information about their origins. In any Medici family tree you will find that the ancestor of the family is Giovanni di Bicci de Medici (about 1360-1429). A humble man who made the family very rich, without appearing too much in public and without taking any particular political risk. Giovanni had two children, Cosimo (1389-1464) and Lorenzo (1395-1440), they will originate the two branches of the family that will rule Florence for more than three centuries. 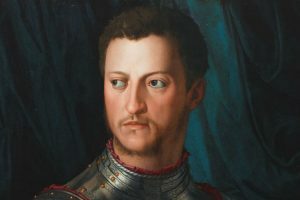 The first-born, Cosimo de Medici, also known as Cosimo the Elder or Cosimo pater patriae, inherited most of the assets of the family and using a subtle system (exchanging favors for loyalty) became very popular at a point where he was considered the Signore (Lord) of Florence, even though he was never involved in any official political institution. 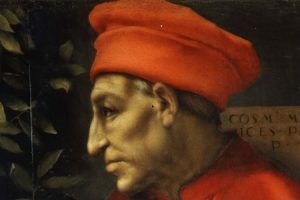 In his long life he had to face many enemies (he was even imprisoned and banished from Florence), but established the Medici as the unofficial rulers of Florence, tripled the assets of the family and generously sponsored the Renaissance, including the entire construction of the convent of San Marco (Michelozzo) and reconstruction of the Basilica of San Lorenzo (Filippo Brunelleschi). His favorite artist was certainly the sculptor Donatello, whose body is buried in San Lorenzo very close to Cosimo’s tomb. Cosimo the Elder is also responsible for building Palazzo Medici, designed by Michelozzo after he refused a model by Brunelleschi, “too sumptuous and magnificent” (Giorgio Vasari, lives). His son Piero de Medici “the Gouty”, sick and suffering (he couldn’t even walk and had to be carried), will survive his father for just 5 years, leaving his two sons, Lorenzo de Medici (20 years old) and Giuliano de Medici (17 years old) an enormous fortune but also a huge responsibility as rulers of the richest town in the world. 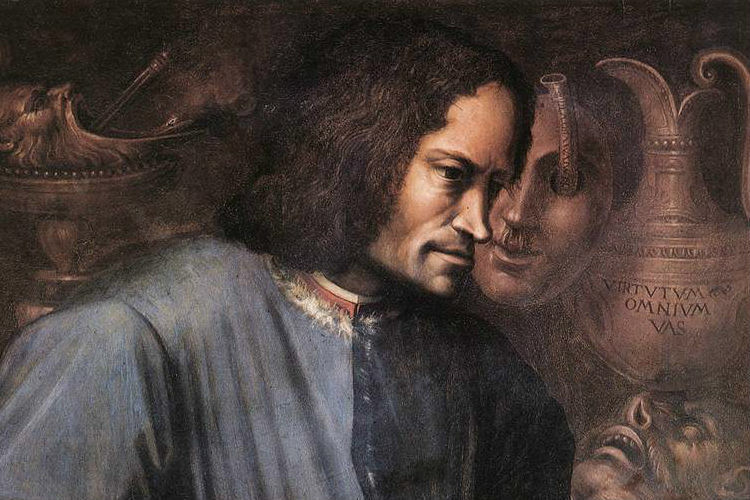 Lorenzo de Medici, also known as Lorenzo the Magnificent, was as generous as his grandfather Cosimo, sponsoring artists like Botticelli, Leonardo da Vinci and, late in his life, housing a very young Michelangelo in his own palace. At the same time he will have to face hard times: his brother Giuliano de Medici was killed in the Pazzi conspiracy (1478) and Lorenzo himself barely escaped the same destiny; then he had to save Florence from war against the King of Naples and Pope Sixtus IV. He also spent a lot of money in the process, reducing the family in bankruptcy. Lorenzo the Magnificent died in 1492 at just 43. Lorenzo de Medici’s first born, Piero de Medici “the Unfortunate”, unable to keep the consensus, caused the Medici family to be banned from Florence in 1494, and died some years later while fighting for the King of Naples. The wisest investment made by Lorenzo de Medici in his life certainly was buying the office of Cardinal for his second-born Giovanni de Medici. 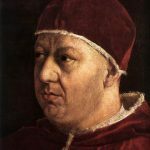 Not only Giovanni took Florence back in 1512, helped by Pope Julius II, but became Pope himself in 1513, with the name of Leo X. The Medici Pope made sure to finally establish his family in the Italian aristocracy, naming his nephew Duke of Urbino and obtaining for his brother Giuliano the title of Duke of Nemours (France). 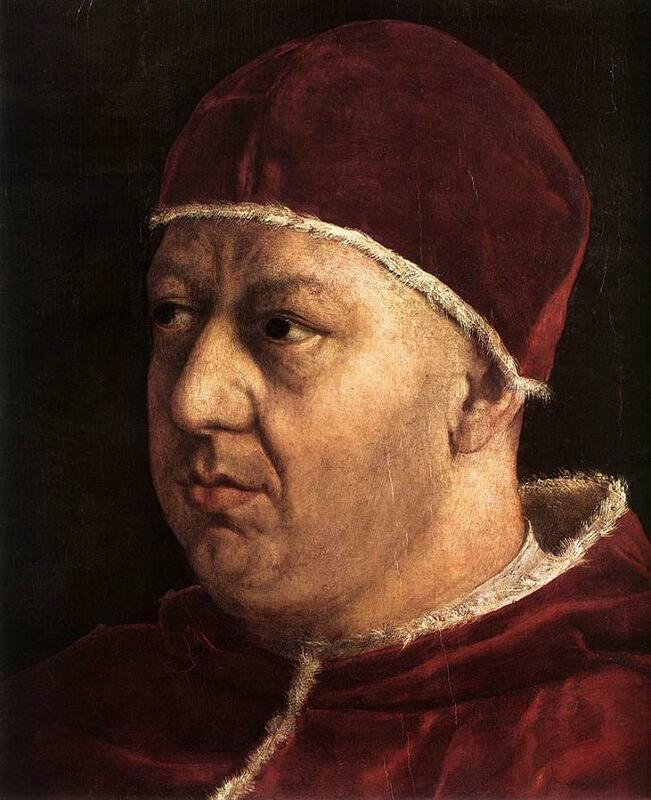 He learned from history and named his cousin Giulio de Medici Cardinal: guess what, shortly after Leo X died, Giulio became Pope himself, with the name of Clement VII. The second Medici Pope made an agreement with Charles V, Holy Roman Emperor and King of Spain, so that his illegitimate son, Alessandro de Medici, in 1530, was named Duke of Florence. It’s the end of the Republic of Florence. Clement VII died in 1534, and in 1537 Alessandro de Medici was assassinated by his cousin Lorenzaccio. 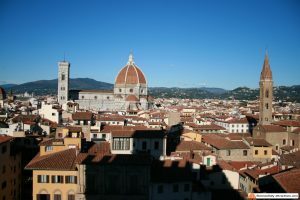 With no heirs to take the reins of government, the city was split in two: someone wanted to restore the Republic, but many people was still loyal to the Medici family. Remember the secondary branch of the Medici family originated by ancestor Giovanni di Bicci? They had been in the shadow for more than 100 years, without taking any risk (they weren’t banned when their cousins were) and now the descendant Cosimo de Medici (yeah this family didn’t use a lot of fantasy with names) looked like a good compromise. He was named Duke of Florence at the age of 17, with the Republicans happy to have a youngster, easy to manipulate, and the Medici supporters happy to see the dynasty continuing. Cosimo de Medici though was well aware of his position, and in few months canceled any residual hope of restoring the Republic, also getting rid of all his enemies. 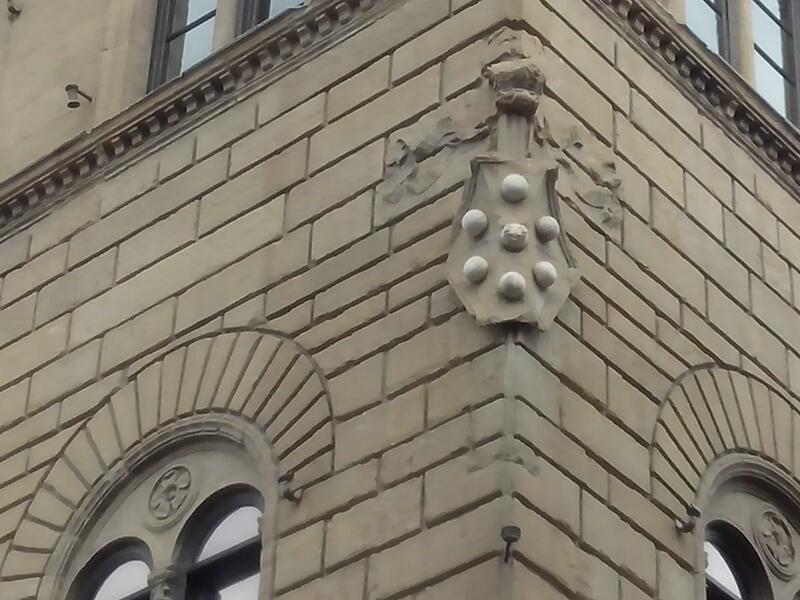 To make his plans clear, he moved the Medici family away from Palazzo Medici and decided to live in Palazzo Vecchio, once the base for the Republican institutions. Later he will move again in a new royal palace, the Pitti Palace. Cosimo de Medici permanently consolidated the power of the Medici family and in 1569, after conquering Siena, was named Cosimo I Grand Duke of Tuscany. The Medici dynasty lasted two more centuries, with seven more Grand Dukes, until Gian Gastone de Medici died in 1737 with no heirs.